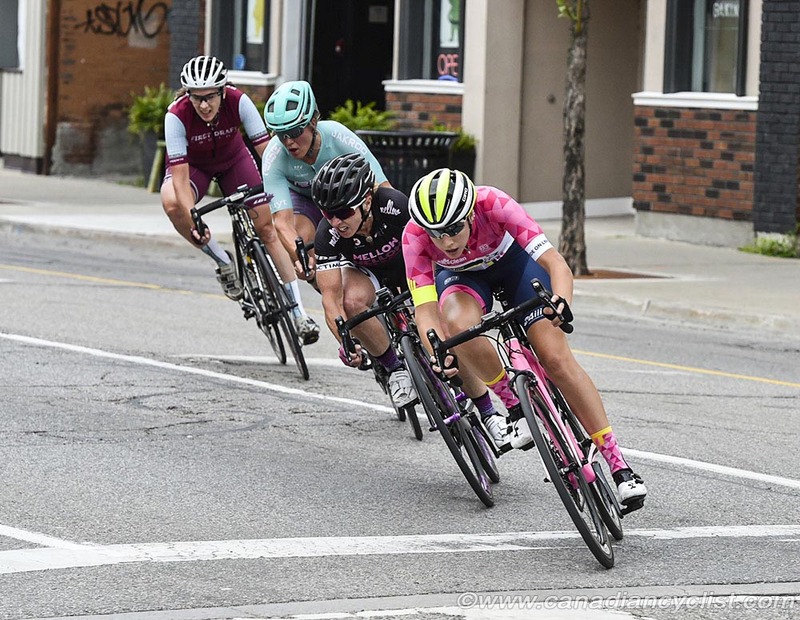 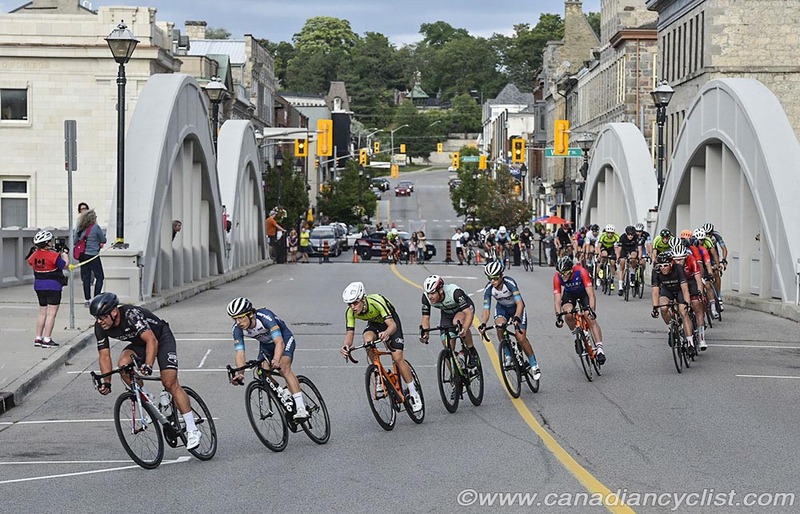 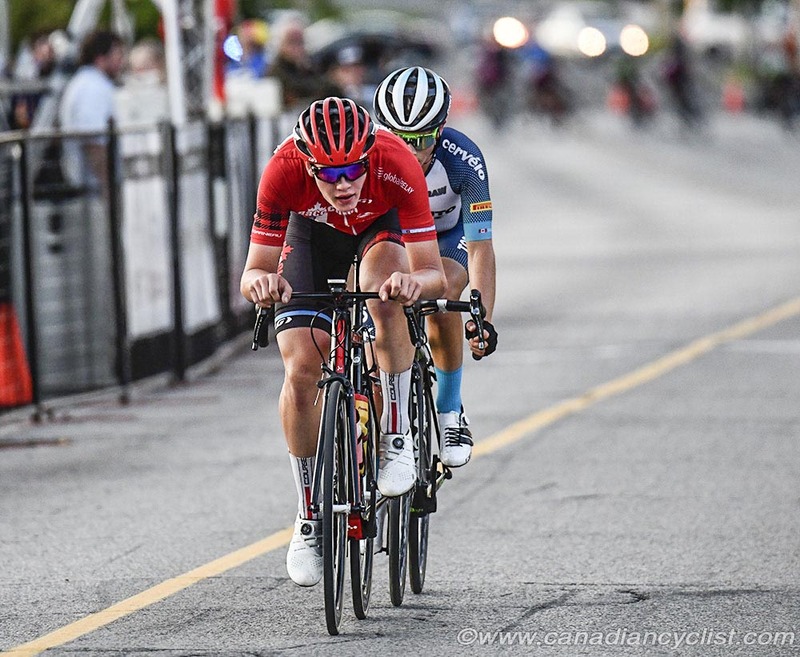 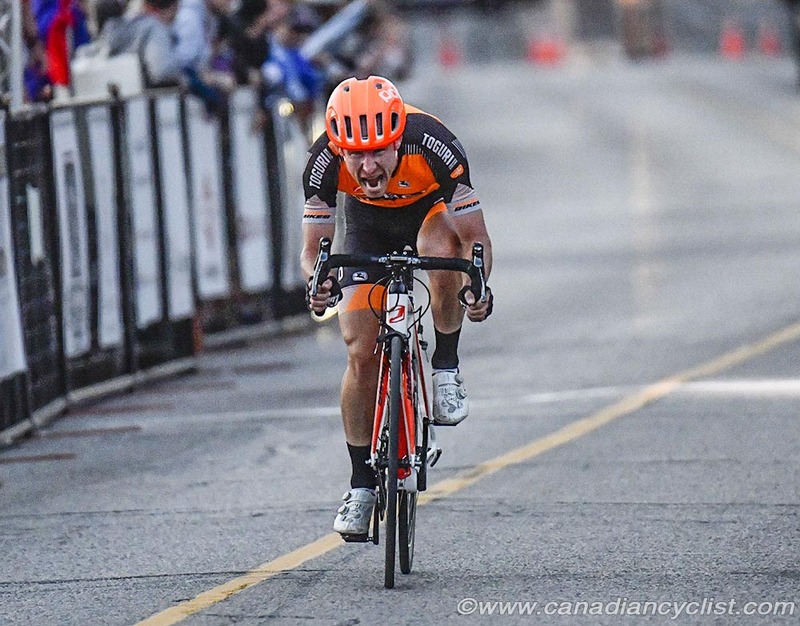 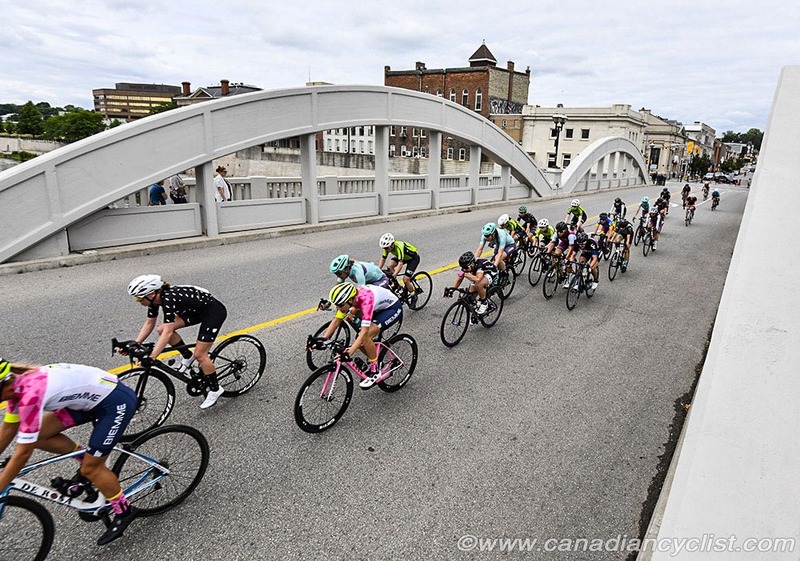 On Saturday evening, Ontario road racers gathered in Cambridge, south of Kitchener-Waterloo, for the Fieldstone Criterium, the third round of the Ontario Crit Series. 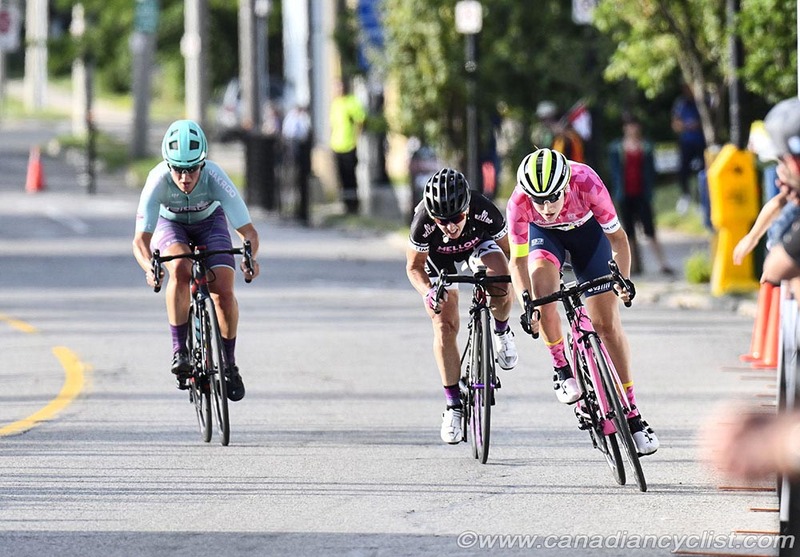 Emily Flynn (Cyclery Racing) won the women's race against veteran American pro Laura van Gilder (Team Mellow Mushroom) and Joyce Spruyt (Rise Racing) in a three rider breakaway. 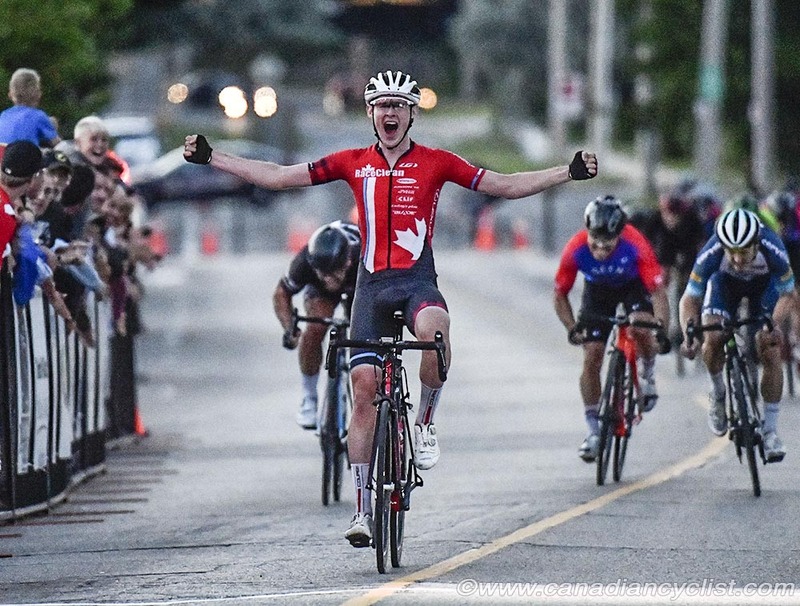 In the men's race, and early attack by Chris Ernst (Team RaceClean) and Noah Simms (Toronto Hustle) was brought back with a less than five laps remaining, only for Ryan Roth (Silber Pro Cycling) to launch an attack that was brought back by Derek Gee (Team RaceClean) in the last half lap, with Gee holding on to win ahead of Jeff Schiller (ToWheels-Palmer Express) and Ed Veal (Real Deal).